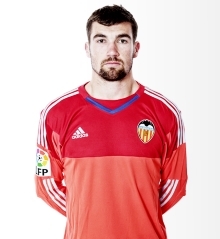 Valencia CF new goalkeeper Mathew Ryan who was supposed to replace Diego Alves while he is out for over 8 months with a long term injury has been injured himself and will be out for over a month. The injury requires surgery to fix it and the recovery rate could be from 4 weeks at the earliest to over 6 weeks. This is a huge blow for Valencia CF as he will miss crucial matches, though thankfully Valencia CF still have Yoel Rodriguez and of course the team can call up reserve goalkeeper Jaume to the bench. Considering Nuno doesn't trust Yoel too much he might even play play Jaume as the starter. Anyways both of those goalkeepers won't make me feel safe in front of goal, Yoel has especially proven to be error prone and have poor positioning, but hopefully he can improve and prove to everyone that he has what it takes to play for Valencia CF.